At the center of the debate is the U.S. Supreme Court Roe v. Wade decision in 1973 that basically legalized abortion throughout the United States. The court ruled that a state cannot ban abortion before viability — a point at which a fetus can survive outside a mother’s uterus. This is generally considered to be the first trimester. The court also stipulated that any restriction on abortion after viability must include exceptions to protect the life and health of the mother. For the first time in the 46-year history of the Roe v. Wade decision, that ruling now stands a strong chance of being overturned or at least seriously challenged by the states. Increasingly, states are passing tougher abortion laws. In addition, Planned Parenthood, which is responsible for more than 321,000 abortions annually, stands to lose tens of millions of taxpayer dollars per year because of new funding regulations. On the other hand, half the states are moving toward expanding their abortion laws, with some unabashedly celebrating their decisions. In New York State, for example, on the January 22 anniversary of Roe v. Wade, the state legislature approved and the governor signed into law a measure allowing abortions through the third trimester. That evening, under the governor’s direction, the One World Trade Center Freedom Tower glowed pink in celebration of the measure. By the end of the month, the governor of Virginia made a shocking statement, heard around the world, which many people view as condoning infanticide. 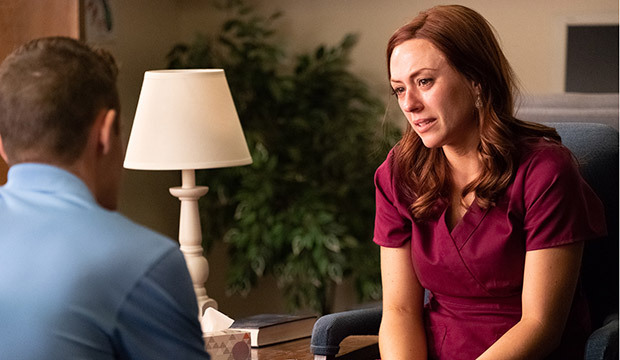 In the midst of this controversy, “Unplanned” is playing in theaters across the nation. “God really timed the release of this movie perfectly,” Abby Johnson told the North Texas Catholic about the film that takes viewers inside a Planned Parenthood abortion clinic and strips away the lies that organization perpetuates. Based on Johnson’s book by the same name, published in 2011, Unplanned is the true story of her conversion from a Planned Parenthood clinic director to one of the strongest and most vocal pro-life leaders in America. Her ministry, And Then There Were None, has led nearly 500 abortion clinic workers to leave their jobs and begin a journey toward healing. When you enter the theater to watch Unplanned, prepare to watch the graphic truth about what happens inside an abortion clinic. Steel yourself to the brazen executives of Planned Parenthood who base their abortion fees on the size of an unborn baby’s skull. Be ready to witness the reckless treatment of would-be mothers by doctors and clinic workers. But stay the course. This movie is a “must-see” and the difficult scenes must be witnessed as well. A beautiful story of redemption and hope unfolds as the movie progresses. 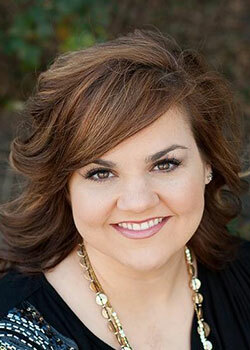 Such is the story of Abby Johnson, whose transformation to pro-life activist took place after she witnessed the actual horrors that the movie portrays for its viewers. One scene in particular makes it undeniably clear that life exists inside the womb of a pregnant woman, even during the first trimester — when Roe v. Wade deems the fetus not viable. It is a life-changer for Johnson and a defining moment for anyone who sees the film. Johnson hopes that pro-life advocates and abortion proponents alike, as well as those who are undecided or not committed, all see the film. “I hear a lot of people say, ‘Well, you know, there will only be Christians going to see this film,’ ” Johnson related. Statistics bear out her claim. According to the Pew Research Center, 49 percent of Protestants and 51 percent of Catholics say abortion should be legal in all or most cases. “There will be people who go and watch who will be pro-choice,” Johnson said, “and our prayer is that their hearts will be converted. But even if they aren’t, I think it is important for them to know what they are supporting. The power of prayer is evident throughout the movie, especially with many scenes showing the prayer, vigil, and outreach activities of 40 Days for Life volunteers and Shawn Carney, its president and CEO who has now expanded the organization around the world. One of the movie’s first conversions was actress Ashley Bratcher, who played the part of Abby Johnson. She said she considered herself to be pro-life “with shades of gray” entering her work on the film. The more she learned about what actually happened to a baby inside the womb, the stronger she grew as a pro-life advocate. There was no gray about the issue clouding Ashley’s mind once she saw and took part in a scene that depicted a baby’s life taken through an ultrasound-guided abortion. “It shook me to my core,” she said. The actress added that she hoped those who see the movie will experience what she did on the set. She said she learned about the sanctity of life in the womb as well as the abhorrent practices that end that life. Through it all, the actress said she learned firsthand about the power of grace, hope, and forgiveness in the healing process for many people who have been involved in some way with abortion. And she found a strong passion within herself to campaign tirelessly for the unborn. Put Unplanned on your calendar, learn about the abortion industry from the inside, tough out the early scenes, and share the grace that comes with forgiveness and conversion. If you do, it is guaranteed you will redouble your resolve to protect the lives of the unborn, and perhaps win some conversions of your own. There has never better a more critical time. Read Jerry Circelli's profiles on Abby Johnson and the actress who plays her, Ashley Bratcher.